I love stumpwork, I love wool embroidery and I especially love Jan Kerton's wool embroidery and stumpwork. And........ it is well known, how much I love Turkey Work! Look at that bunny tail! how much fun it is now! What a cute future little ZTA. Two days old and she is ready to pledge. 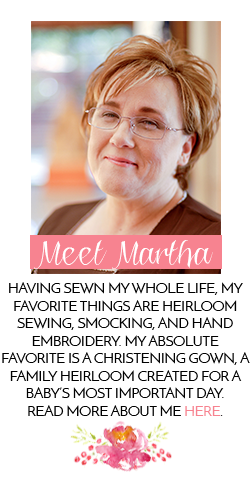 Ohhhh Martha you must be bursting at the seams having such a precious angel to model your heavenly creation and wrap with "love and stitches"! Can't wait to see her in the people choice show &share set from SAGA convention. Another beautiful photo! 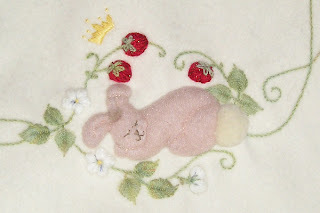 Please, a tutorial on how to do this type of embroidery! Just beautiful on both accounts. 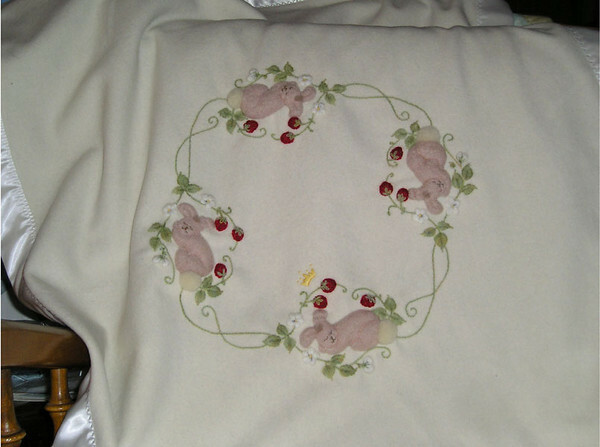 Delightful - the blanketing responds so well to stitching, too! Love at first sight!!! she is so precious wrapped up in her "ZTA" blanket!!! I see lots of strawberry and bunnies designs in her future!!! Yep, she is a beautiful little "legacy!" A beautiful blanket on a beautiful baby! The Zetas have added a lot of new symbols since the olden days when all we had was the white violet, crown, and a carpenter's square! I like these better. She's the best dressed legacy I've ever seen! I was thinking, "What a beautiful blanket!" And then.... I saw it draping that gorgeous baby. You took my breath away! What a wonderful photo! That is just beautiful. Congrats on your new grandbaby - she will be best dressed girl around. Sooooo precious - what a beautiful creation - both the baby and the blanket! 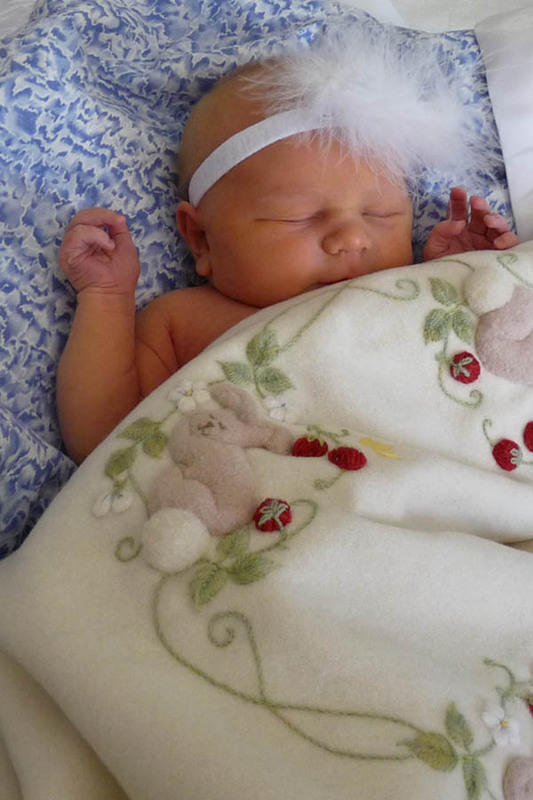 What a darling, lovely baby girl, I like the blanket, too! Your work is just lovely. See my post from July 10 - it is a bag with the sleeping bunnies.